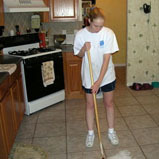 Frequently Asked Questions-RUB~A~DUB~DUB Cleaning Service, Inc. Yes, our staff is covered!!!! We carry full liability, workers compensation, and bonding insurance. You can feel safe with us !!! 2. Must I be home when you come to clean? No, you can stay if you would like; however, that is not necessary. Many of our customers give us a key that is secured in our office. You can also give us the alarm code so that we may enter and exit. 3. How do you protect my keys? Your key is identified with only a number. There is no name or address on the key. The key is kept in a secure locked storage device. The key is issued to the team leader on the day of your cleaning. The team leader returns the key at the end of the workday to the owner, who then locks it back in the secure device. 4. How many people will clean my home? We send out teams of 2-3 people at a time. Your team consists of a team leader and 1-2 assistants. Consistancy is the key to success. 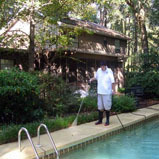 We strive to send the same team leader to your home everytime to insure we are meeting your personal needs. 5. Are the teams trained and supervised? Yes, all team members are professionally trained. Training continues as we learn about new products and methods to reinforce and enhance our prior training. 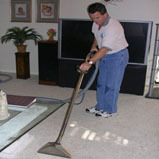 The team leader will check your home at the end of the job to insure that all cleaning tasks are completed. 6. Do you bring your own cleaning supplies? Yes, we supply all of the cleaning supplies that we use. However, if you have a specific product that you would rather we use, as long as you have it available, we will be glad to use your product. We bring our own mops, vacuums, brooms, etc. Again, if you prefer that we use yours just let us know. 7. How do I pay for your services? Payment is due at time of service. You may pay by cash or personal check. You would just leave the payment on the kitchen counter. If you prefer to be billed monthly, we can handle that through the office. 8. 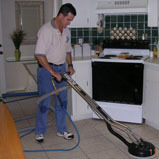 What is the cost to clean my home? Fees are based on the condition and size of the home. 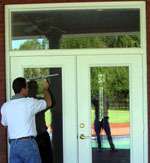 If you would like a quote, please call us during regular business hours and we will be glad to set up a time to come by your home and give you a free estimate.